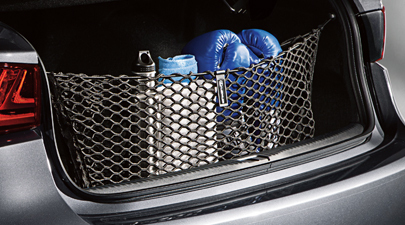 Stowing items in your trunk has never been easier, thanks to this innovative cargo net with integrated storage pouch. 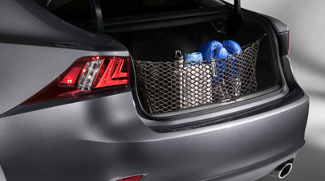 After attaching the storage pouch to the integrated D-hooks, simply unzip the pouch, attach the cargo net to the upper mounting hooks and the net is ready to hold your groceries, sports equipment or other cargo. When not in use, the cargo net tucks neatly into the handy pouch, which is designed to also hold other small items.